I have googled and noticed that almost every Boeing 777 is not equipped with winglets. Does anybody know the reasons why Boeing did not equip B777s with winglets? Are there any drawbacks to having winglets? As in anything in aviation design, the use of wingtips has both advantages and disadvantages. In the end, the decision to use (or not) a winglet is based on the cost-benefit analysis of the winglet to be used in that particular aircraft. All winglets incur a drag and weight penalty- the question is whether they conserve fuel more than they increase it in the first place. One problem in winglet addition is that they are prone to flutter. Also, an equal span extension is sometimes more effective and is less risky. Another thing to add is that most of the present aircraft using winglets (A320s and B737s) were not designed with winglets to begin with. They were retrofits. Most of the new aircraft are designed with plenty of aerodynamic experience and the engineers can take a call based on the data available as to whether to have 'conventional' winglet or not (See A350XWB Vs B787). Coming to B777, it should be noted that the -300ER, -200LR, and -200F have wingtip devices after all- raked wingtips. These act in the same manner as the winglets to reduce drag. Each wing on the Boeing 777-300ER (extended range) is being extended by 6.5 feet, and raked wingtips are being added to improve the overall aerodynamic efficiency. 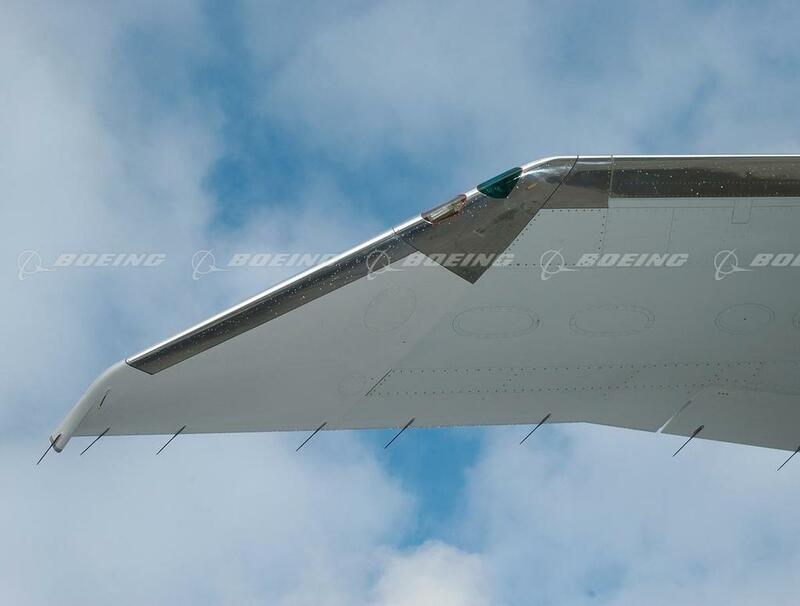 The raked wingtips help reduce takeoff field length, increase climb performance and reduce fuel burn. Because winglets are a tradeoff: In the highly visible case of the 777, an airplane with exceptionally long range, the wings grew so long that folding wingtips were offered to get into tight airport gates. Finally nobody ordered the folding wingtips when they were first offered, though that has not stopped Boeing from trying. Note that one main reason for offering folding wings is to fit into existing gates- else the wingspan would've become too great. Dave Akiyama, manager of aerodynamics engineering in Boeing product development, points out that designing winglets can be tricky-they have a tendency to flutter, for example. "We find that it really doesn't matter what kind of wingtip device you use-they're all like span," he says. "The devil is in the details. Span extensions are the easiest and least risky." And finally, winglets were considered for B777, especially for the earlier versions, though nothing came out of that- so most probably they were of not much use in improving fuel burn. Note that 787 also has a similar 'raked' wingtip instead of winglet. ... for long-range 777s, with United, Continental, and Delta investing in modifying the outboard aileron droop and the environmental control system, making ram air improvements, and installing smaller wing vortex generators to yield a total of 1 percent fuel burn improvement. Another potential drawback to winglets is that of gate spacing at the ramp. Winglets can make for a much larger footprint at the gate. This could, in turn, make 5 airplanes without winglets into 2-3 planes with winglets, depending on spacing requirements and availability. You might be saving on gas for long haul routes, but if you’re only hauling 50% of your passengers and/or freight because you can’t stuff enough airplanes into “Airport X,” then you’re not really saving on much in the first place. Not the answer you're looking for? Browse other questions tagged aircraft-design aerodynamics boeing-777 or ask your own question. Why are downward pointing winglets more efficient?